1. Eligibility: The Disney Movie Rewards Play Big Sweepstakes (“Sweepstakes”) is only open to entrants who, at the time of entry, are: (a) natural persons who are legal residents of one of the 50 United States, the District of Columbia, Puerto Rico, or Canada (excluding Quebec), (b) 13 years of age or older, and (c) members of Disney Movie Rewards Loyalty Program (“DMR”). 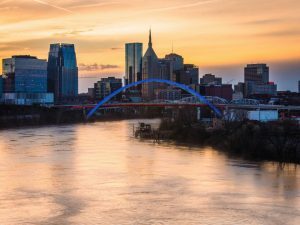 If an entrant is a minor, as defined by the jurisdiction of the entrant’s primary residence (“Minor”), permission of a parent or guardian is required to participate in the Sweepstakes. Entrants must not be an employee or director, or IRS dependent, immediate family member or individual residing in the same household of, an employee or director, of Buena Vista Home Entertainment, Inc. (“BVHE”), its parent, and any subsidiaries, related and affiliated companies of each, Prize Logic, LLC, or their respective parent, subsidiary and affiliated companies, advertising, promotion, or production agencies, web masters, web suppliers and any prize provider. Void where prohibited by law and subject to all applicable federal, state, provincial, municipal, territorial, and local laws and regulations. Participation constitutes entrant’s full and unconditional agreement to these official rules (“Official Rules”) and Sponsor’s and Administrator’s decisions, which are final and binding in all matters related to the Sweepstakes. Winning is contingent upon fulfilling all requirements set forth herein. 2. Sponsor: Buena Vista Home Entertainment, Inc., 500 South Buena Vista Street, Burbank, CA 91521, USA. 3. Administrator: Prize Logic, LLC, 25200 Telegraph Road, Southfield, MI 48033, USA. 4. Timing: Sweepstakes begins at 12:00:01 AM Pacific Time (“PT”) on April 2, 2018 and ends at 11:59:59 PM PT on July 2, 2018 (“Sweepstakes Period”). Sponsor’s computer is the Sweepstakes’ official clock. 5. 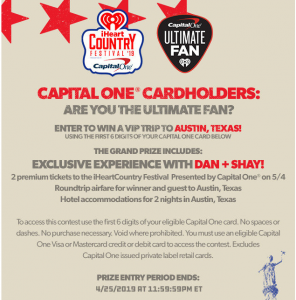 How to Enter: As noted in the eligibility requirements set forth in Section 1, you must be a member of DMR at the time of entry to enter the Sweepstakes. 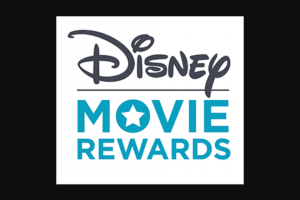 If you are not a member of DMR you may become a member by visiting http://www.disneymovierewards.go.com/promotions/sweepstakes/playbigsweepstakes (the “DMR Website”). Membership is free. You must register for the Sweepstakes initially through the DMR Website. Standard internet access and usage charges imposed by your online service provider will apply. Once you are logged into your DMR member account, you may enter the Sweepstakes by navigating to the “Sweepstakes” tab and following the links and instructions to enter. Once you click where indicated, you will automatically receive 1 entry into the Sweepstakes drawing.6. Additional Sweepstakes Entries Using DMR points: After entering the Sweepstakes as described above, you may redeem DMR points for up to 99 additional Sweepstakes entries during the Sweepstakes Period. For each additional Sweepstakes entry you will receive 1 additional entry into the Sweepstakes drawing. For each additional entry you redeem, 5 DMR points will be deducted from your account. To redeem DMR points for Sweepstakes entries, visit the DMR Website and follow the online instructions to select the number of additional entries into the Sweepstakes you wish to earn using DMR points. DMR members may collect DMR points by entering codes obtained from specially-marked Blu-ray™ Discs, DVDs, or CDs, answering specially-identified surveys, qualifying for bonus points offers that may be presented at the DMR Website from time to time, in-member communications, and/or other methods as designated on the DMR Website. 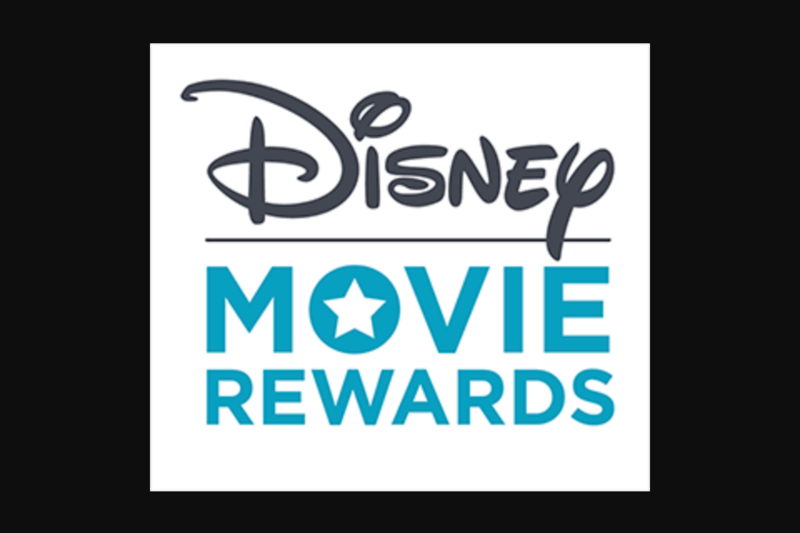 Please visit http://www.disneymovierewards.go.com/page/terms-and-conditions.htm for additional information and terms for the DMR program. Free Alternate Method of Entry for Additional Sweepstakes Entries: To receive up to 99 additional Sweepstakes entries into the Sweepstakes drawing without redeeming DMR points hand print your name, address, day and evening phone numbers, the e-mail address associated with your DMR account, and your age on a 3½” x 5″ card and mail it with proper postage to Disney Movie Rewards Play Big Sweepstakes, P.O. Box 1029, Neenah, WI 54956-1029. Entries must be postmarked by July 2, 2018. You will be entered into the Sweepstakes 1 time for each 3½” x 5″ card received by July 10, 2018, for up to 99 mail-in entries. Mail-in entries mailed in an envelope will not be accepted. All mail-in entries must be handwritten. Mechanical reproductions will not be accepted. Proof of sending or mailing of mail-in entries will not be deemed to be proof of receipt by Sponsor. Sponsor is not responsible for lost, late, incomplete, invalid, unintelligible, illegible, misdirected or postage-due mail-in entries, which will be disqualified. 7. General Conditions on Entry: Once submitted, all entries become the exclusive property of Sponsor and will not be acknowledged or returned, nor will any correspondence be exchanged with any entrant. Limit: An entrant may receive up to 100 Sweepstakes entries in total during the Sweepstakes Period through a combination of the methods described above. Limit 1 prize per entrant/household. Multiple entrants are not permitted to share the same e-mail address. Any attempt by any entrant to obtain more than the stated number of entries by using multiple/different e-mail addresses, identities, registrations, logins, or any other methods will void entrant’s entries and that entrant will be disqualified. Any use of any micro, robotic, automatic, programmed, or like entry methods will void all such entries affected by such methods and entrants using such methods will be disqualified. AN ATTEMPT BY ANY PERSON TO DELIBERATELY DAMAGE THE WEBSITE(S) OR UNDERMINE THE LEGITIMATE OPERATION OF THE SWEEPSTAKES IS IN VIOLATION OF CRIMINAL AND CIVIL LAWS AND IF SUCH AN ATTEMPT BE MADE, SPONSOR RESERVES THE RIGHT TO SEEK REMEDIES AND DAMAGES FROM ANY SUCH PERSON TO THE FULLEST EXTENT PERMITTED BY LAW, INCLUDING CRIMINAL PROSECUTION. 8. Winner Selection: The odds of winning the Sweepstakes prize depend on the number of eligible entries received during the Sweepstakes Period. Administrator is an independent judging organization whose decisions regarding the administration and operation of the Sweepstakes and the selection of the potential winners are final and binding in all matters related to the Sweepstakes. Administrator will randomly select 1 potential “Grand Prize Winner” and 100 potential first prize winners (each, a “First Prize Winner”) from among all eligible entries received during the Sweepstakes Period, on or around July 17, 2018. Each potential winner will be notified by mail, e-mail and/or telephone. If any potential winner cannot be contacted, fails to execute and return all documentation within the required time, fails to pass a skill test (Canadian residents only – see Section 11 for more details), is found to be ineligible or is non-compliant with the Official Rules for any reason, then the potential winner forfeits the prize and Administrator may select another potential prize winner, as time permits. 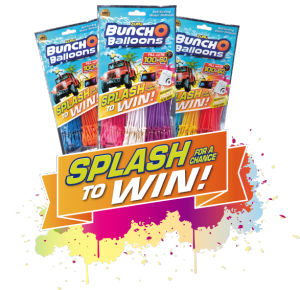 In the event that a potential winner is disqualified for any reason, Sponsor will award the prize to an alternate winner selected by random drawing from among all remaining eligible entries. In such case where a prize is not accepted or where a prize is forfeited, there may, as necessary and at Sponsor’s sole discretion, be 3 alternate drawings, after which the prize, if not accepted by an eligible winner, will not be awarded. For U.S. residents, the First Prizes (as defined in Section 9), will be fulfilled approximately 8 to 10 weeks following winner verification. For Canadian residents, the First Prizes will be fulfilled the later of either approximately 2 to 3 weeks after the receipt of their timed mathematical skill test or approximately 8 to 10 weeks following winner verification. 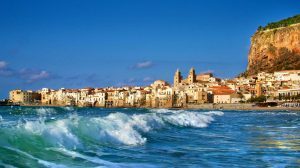 Within 2 to 3 weeks from verification of the Grand Prize Winner, the Sponsor’s designee will contact the Grand Prize Winner to book Grand Prize travel. If the Grand Prize Winner is a minor in his/her state, province or territory of residence, then the Sponsor’s designee will contact the Grand Prize Winner’s parent/legal guardian to book Grand Prize travel.